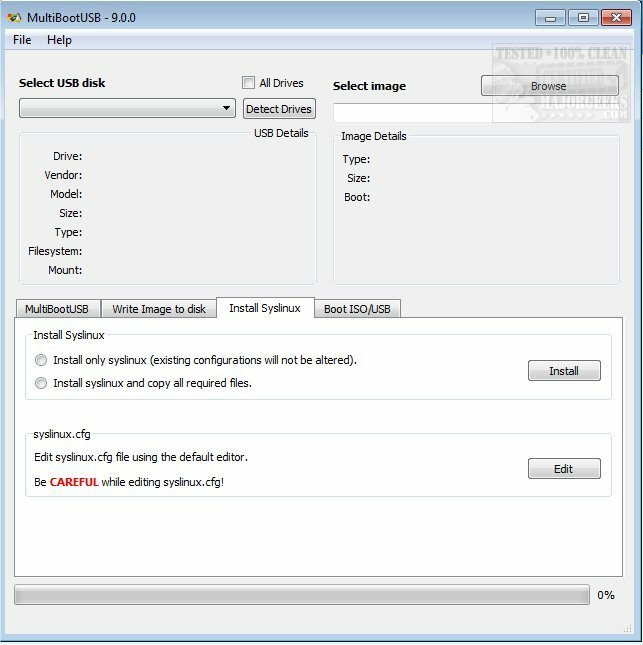 MultiBootUSB allows you to install multiple live linux on a USB disk non destructively and option to uninstall distros. Try out the world’s first true cross platform multi boot live usb creator for free. What I have noticed during this release cycle is that releasing of new version of the software takes too much time than actual coding on the project. Usually, time is spent on fixing the bug and pushed immediately to devel branch. Others contribution also reviewed and merged in to devel branch as soon as possible. But for newer release, I have to test each package individually before pushing in to github release repo. Moreover, I have to spend lot of time to write changelog and update website accordingly. Therefore, what I would request is that If anyone having issue with stable version, please download devel branch and directly from the source. Possibly, your bug is already solved in the devel branch.